Are you ready for the biggest shopping day of the year? That’s right – in 2017 Amazon Prime Day traffic exceeded Black Friday! This year's 36-hour event starts on July 16th at noon Pacific Standard Time and ends at midnight on July 17th. Organize and optimize your advertising campaigns. For Prime Day advertising campaigns you’ll want to have your best-performing keywords primed and ready to go. We recommend trying to find at least 50 different keyword combinations in your Sponsored Products ads. And if there are there are keywords or phrases that deliver results in your automatic campaign, add them to your manual campaign. But don't be overwhelmed! We’ve collected over one billion keywords in our database to help you tackle that head-on. Product keywords include your product and/or brand name. Use all the variations of your product and brand for more visibility. Complementary keywords are keywords that don’t focus directly on your product, but instead on products used in conjunction with yours. Think of the products that you see in the “frequently bought together” section – is there a logical place to run a campaign alongside those product searches? This is where long tail keywords work really well. Competitive keywords are aimed at your competitor's products. By including and bidding on these keywords you can present your brand as an option when customers are searching for a competing product. Out-of-category keywords focus on activities where a customer might use your product. Think broadly for terms, for example, “summer parties,” “vacation supplies,” or “travel accessories” can help you ride the wave of shopper demand if you find the right categories. Review your Negative keywords. These are searches where you DO NOT want your listing to appear in the results. For example, let’s say you sell a beautiful set of plastic cups. They’re perfect for camping and sitting poolside. However, you wouldn’t want them showing up with athletic cups. So in this case, put the keyword “athletic” into your negative keywords. It is essential to get this right, as it will help you lower your ad costs and better target the right customers. Make sure you’re running several different advertising campaigns on products with ratings of 3.5 or above. Individual campaigns allow you to enter keywords that are relevant to that specific product or ASIN. You will receive better insights with a more tailored campaign than a broad one. Consider increasing your campaign budget to at least 200% higher than your typical spend. You wouldn’t want to run through your budget in the first half of Prime Day and lose out on afternoon and evening sales, would you? Make sure your bids remain competitive to increase the likelihood of your listing showing up as frequently as possible. Amazon makes this easy to do with “Bid+,” a tool that optimizes bids on your manual campaigns. If you’re operating with a small budget, we recommend sticking to long tail keywords. While they have lower traffic, resulting in lower bids, the traffic they do receive is more targeted and highly convertible. In addition to Sponsored Products campaigns, now is also a great time to take advantage of Headline Search Ads (HSA) if you’re a registered brand owner. When used together, these ad campaigns can help you reach more customers at multiple stages of the purchase journey. Headline Search Ads can appear at the top, bottom, and left-side of search results pages. One advantage of HSA is that you can include call-to-action messaging (e.g., "Buy now!"). For Prime Day we recommend using messages that focus on what a great deal your customer will receive. Test your copy before Prime Day to see what resonates with customers the most. Amazon recommends setting your campaigns to run without an end date. You can also consider running an increased campaign for a couple of days after Prime Day to catch the stragglers. Pro Tip: Download and save your keyword and search term reports for the week leading up to Prime Day 2018 to leverage for next year! With Prime Day likely to bring more eyes than ever to your listing, now is a good time to spruce it up with the most relevant keywords and copy. Along with the text, check to ensure your images are making a positive first impression; in addition to high-quality product photography, include a few lifestyle shots that show people using your products! If you're a registered brand owner, consider utilizing Enhanced Brand Content in your listings. It allows your storefront to look and feel like a personal website rather than an Amazon landing page. You can align your HSA ads and your storefront for a consistent look and feel that customers can associate with your brand in the future. Boost your advertising and marketing to get more eyes on your product. Double check your keyword optimization so that you're talking to your customers in the same language their using to search. Drive people to your Amazon listing through social media campaigns, email marketing, dedicated landing pages, PPC advertising, and other outside sources (like a blog, if you have one). A word of caution: make sure your conversion rates do not drop. If Amazon sees a spike in traffic but not many sales (i.e., a lower conversion rate) they’ll decrease the number of people they send to your product page. High traffic but low sales? Aside from pricing, check your reviews and see how you can improve your product in the long run. If customers are repeatedly asking the same questions, include the answers in your description and bullet points. Every few weeks you should take your learnings and review your listing’s content to ensure you are representing your product and brand in the best possible way. Prime Day is quickly approaching. So by now, you should have double and triple checked your inventory. Whether you’re selling FBA or FBM, the worst thing you can do is run out of a product. If you're selling via FBA make sure your inventory is up-to-date in Seller Central, as this will impact your ad campaigns as well. With so many factors out of your control, it is imperative that you make sure everything you can control is an A+. 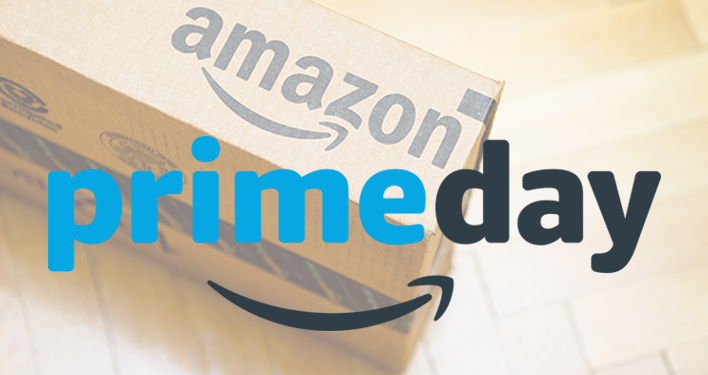 Best of luck on Prime Day, sellers!